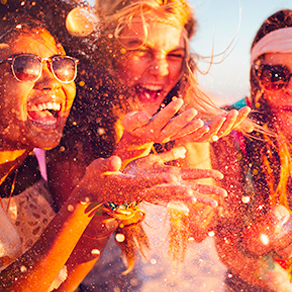 Sanpellegrino Sparkling Fruit Beverages are made for carefree fun and joyous moments. And even more so with the little changes to the recipe that we’ve made, that create lighter days for you. Find out more about the much-loved recipe of your favourite soft drinks here. Everyday moments can be improved with little changes to make them even more special. 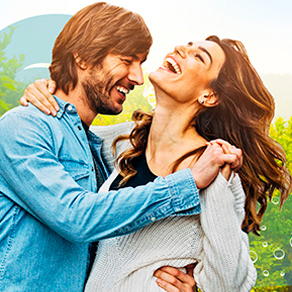 At Sanpellegrino we believe in making the changes that count, so that you can experience more joyful moments and savour the spirit of Italy. 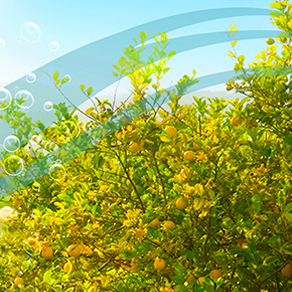 That’s why the recipe of Sanpellegrino Sparkling Fruit Beverages has been renewed. This makes the great fruity taste of Sanpellegrino Sparkling Fruit Beverages even more enjoyable for everyone at every moment. Lighter days, more Life Deliziosa. 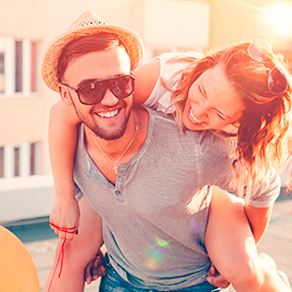 Little changes by Sanpellegrino for light-hearted moments. When you have a great quality product, taste is everything. The new recipe of the much-loved Sanpellegrino Sparkling Fruit Beverages, with the addition of stevia, creates a joyful sensation in your mouth. Stevia sweetener is derived from plants and has a natural origin. To find out more about our new recipe, check out our FAQs. Naturally, delivering the same authentic taste we celebrate the fun times and discover lighter days with Sanpellegrino Sparkling Fruit Beverages. Take a sip to savour every moment. 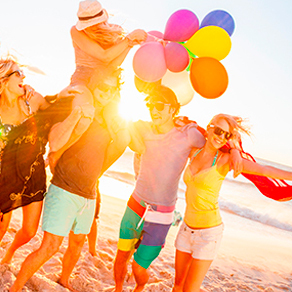 Open your senses to the joys of the everyday. Live fully. This is the Life Deliziosa at Sanpellegrino. And now, thanks to the new recipe, the authentic taste of Italy accompanies you through even more moments of life. 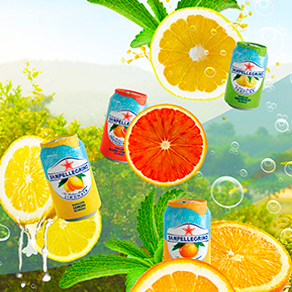 Experience the fragrant burst of sun-ripened citrus fruit in Sanpellegrino Sparkling Fruit Beverages that will delight you. It’s the Life Deliziosa from Italy, light-hearted for more carefree days.